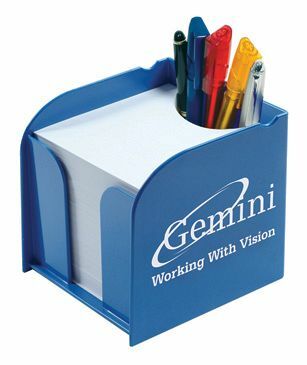 Manufactured in a wide range of colour options, these attractive memo block pad holders feature a shaped memo block, designed to hold either a mobile phone or pens. Each holder contains a block of approx. 800 sheets of quality white offset paper and are great promotional giveaways for any kind of branding exercise.